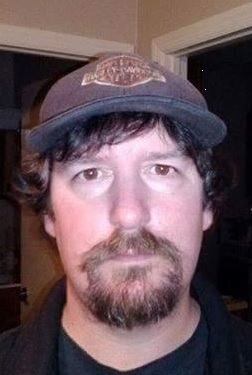 Darrin A. Stewart, age 44, died suddenly Wednesday, September 19, 2018 at his residence in Butler, PA. Born September 19, 1974 in Clarion, PA to Robert G. Stewart Jr. and the late Sheila Marie Schimp Stewart. He was a 1993 graduate of Butler High School, then made his living as a custodian. He enjoyed hunting, fishing, and feeding wildlife. Darrin is survived by his father Robert G. Stewart Jr, of Chicora, and his sister Brandi (Steve) Stroup of Chicora, a brother Eric (Tina) Stewart of Petrolia, and a number of nieces and nephews. Friends received 1-3 and 6-8 p.m. Sunday, September 23, 2018 at STEIGHNER FUNERAL HOME, 111 E. Slippery Rock and Main Streets, Downtown Chicora, PA with funeral services Sunday at 8 p.m. at STEIGHNER FUNERAL HOME officiated by Reverend Mark Wallace. Chicora Moose Lodge will conduct services at 6 p.m. Sunday at the funeral home.